The program is primarily designed for students who have a bachelor’s degree in engineering, applied physics, or related fields. The undergraduate curriculum should include courses in calculus through differential equations, chemistry, and physics, as well as in-depth training in engineering or the physical sciences. Some formal training in the biological sciences is also desirable. Students who do not have the required background in engineering or the physical sciences may be admitted to the program, but may need to take additional coursework, typically during the first year of study. Students for whom English is not a native language are strongly urged to come to Rochester early, in order to prepare for the first-year program. The deadline for completed applications and supporting material is January 4 for admission in September of the same year. There is a 60 dollar application fee. The 60 dollar fee will be waived for applications submitted by December 1st. 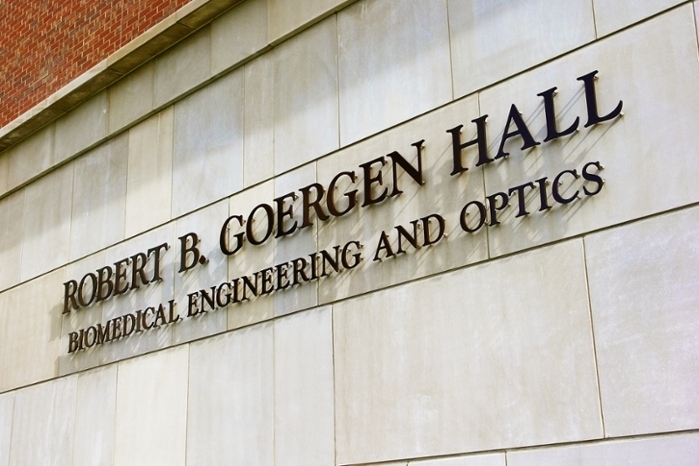 All students accepted into the PhD program in biomedical engineering are granted financial support in the form of a full tuition waiver as well as a competitive stipend and health insurance coverage. Outstanding candidates may also be nominated by the Admissions Committee for special fellowships that are awarded on a competitive basis. Financial support does not require teaching or laboratory assistant duties beyond those that are integral to the academic program. Instead, students are supported with research funds from his or her faculty advisor. Student progress is reviewed on a yearly basis, and satisfactory progress must be demonstrated for support to continue. No stipend support is available for MS degree candidates but a limited number of partial tuition scholarships are available. Full-time MS students who also work as teaching assistants are eligible for a competitive tuition discount (typically around 35%). Federal work-study program funds, government or personal loans, or part-time employment may sometimes be used to meet expenses. The GRE General Test is required and should be taken in time for the admissions committee to receive score results by the January 1 deadline. We look for applicants to score at least a 145 on the Verbal, a 158 on the Quantitative, and a 3.0 on the Analytical Writing. The institution code is 2928 and the department code is 1603. Are you interested in learning more about biomedical engineering at the University of Rochester? Let us know what questions you may have or what research area(s) interest you by filling out this simple form. We look forward to hearing from you! For questions contact Ania Dworzanski, graduate program coordinator, at adworzan@ur.rochester.edu or (585) 275-3891. For questions about the CMTI MS degree contact Judy Principe, CMTI graduate program coordinator, at judith.principe@rochester.edu or (585) 273-2353.